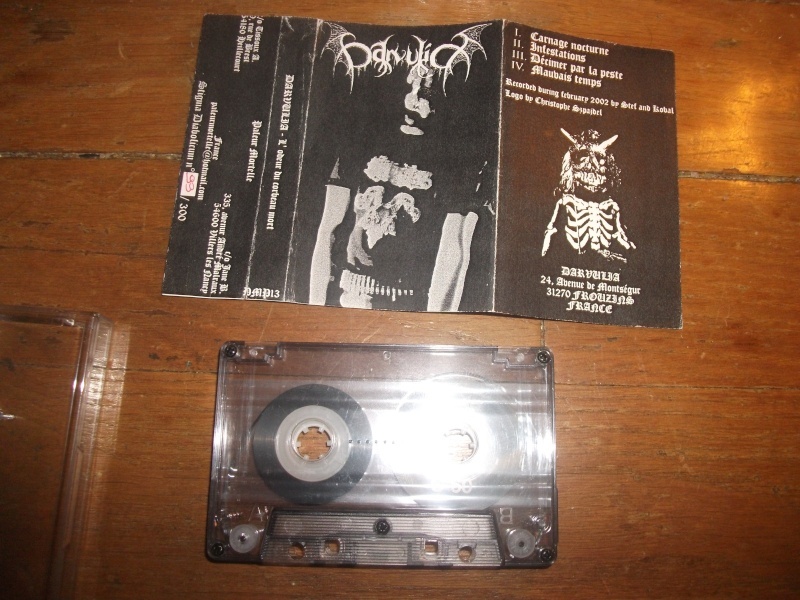 Darvulia: Paleur mortelle tapes were always simple xerox covers. If it's handnumbered in red ink it's probably the original. OK, thanks. My Epheles tape has blue ink, though. Angelcorpse: original. I have a red cover with black print, didn't know there were 2 versions. I also got it with red cover + black ink, also with some tracks from the LP which are handwritten on the back of the inlay. Seller said he got them directly from Wildness. Band was still selling them as late as the early 2000s. I don't think they're bootlegs but most probably recent represses. The tapes are not an 80ies brand as well. Easier to just get the band pressed CDs of those two demos to be honest. Wildness I have been in contact with multiple times, and he indeed has repressed those tapes on more than one occasion. I have posted mine somewhere back a number of pages. Mine has a somber stamp on the blank side, but otherwise a standard tape like this and a xerox cover. My copy of Darvulia is like yours, with red ink for the hand-numbering, and it is a legit copy, so I guess yours is too! These demos have been sale from the band all the time... in 80s, in 90s and in 00s. 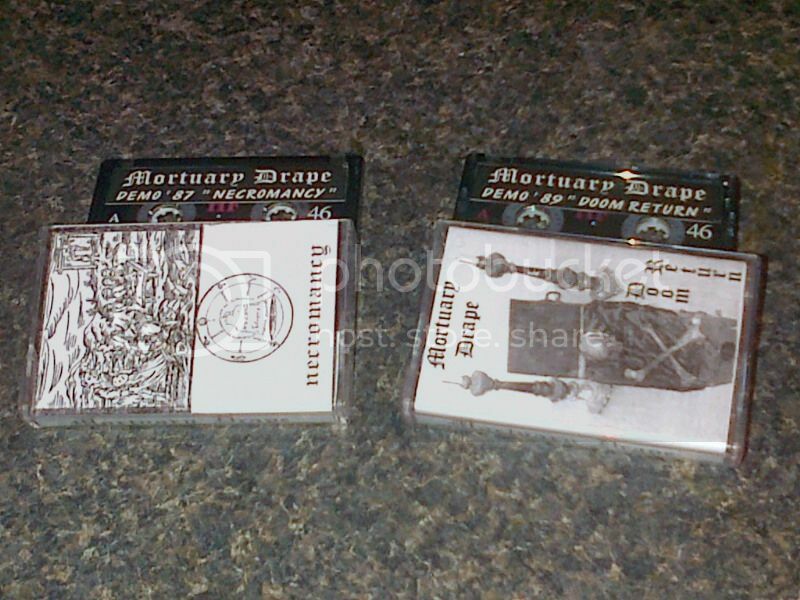 My two Mortuary Drape demos don't have that sticker on them. Just a normal one with some handwriting, mine are 100% original. I doubt the band made that kind of stickers, they look like those fake NEcromantia demos that have been spread around by some infamous bootllegger from Germany, named Michel Arnold, suicide74 on ebay: may he die soon, in lots of pain. 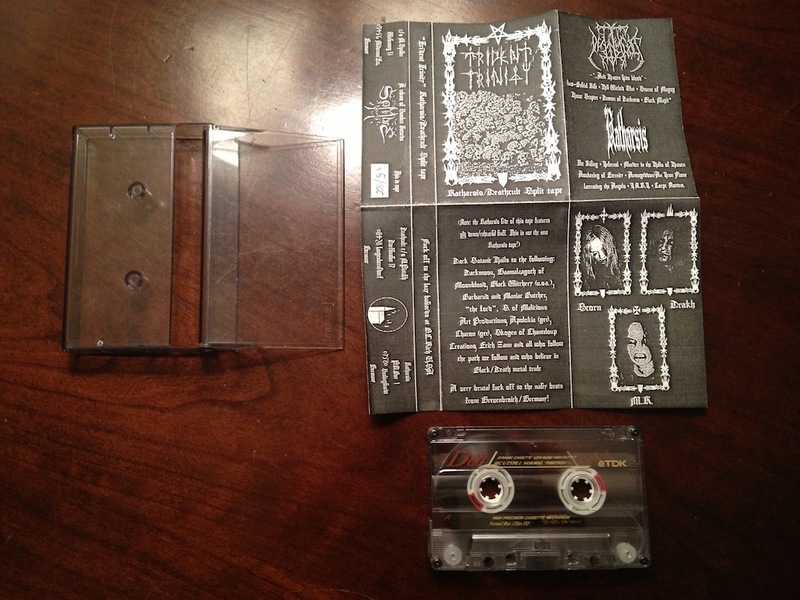 The one I got directly from the band is on white factory made cassette with blank red etiquettes on both sides. The cover is very plain one-sided xerox slip. I don't have that lyric insert here around, but I remember it looked the same as the one in the photo. Did you buy that Traumatic tape on ebay from someone from Israel? Just check his feedback, bootlegger. Well, clear tape with small white sticker on side A. That's my version.